20 years. 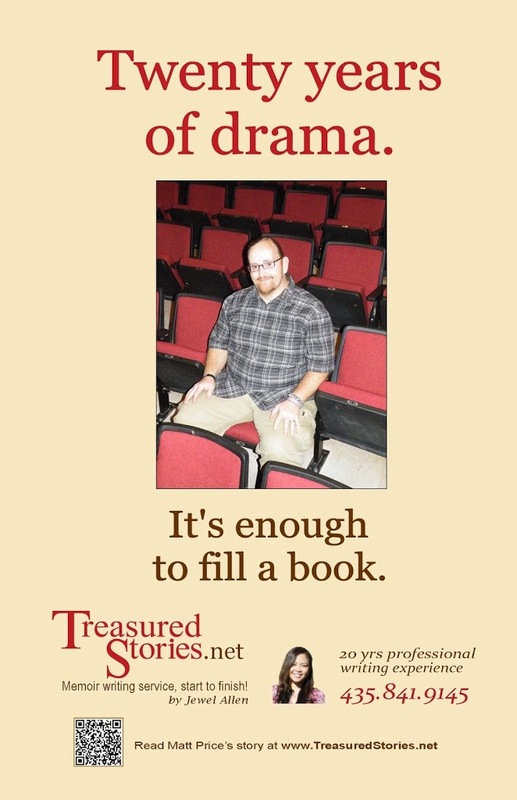 That’s how long Matt Price has been involved with Grantsville High School’s theater program. 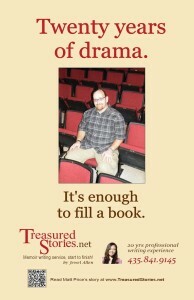 First, as a volunteer, then as the theater director/drama teacher. And boy, does he have stories to tell. For their 20th anniversary just this past week, the school put on a fabulous performance of Phantom of the Opera. At intermission, a friend told me he’s seen Phantom on Broadway. “I can close my eyes and these kids sound just like the real thing,” he said. Congratulations, Mr. Price, on 20 years of dedication to kids and theater at Grantsville High! I was in tenth grade at Grantsville High School and on the Esteem team, where we did process drama and improvisational theater about problems teens deal with. Contact us for a free consultation on how you can preserve your Treasured Stories.